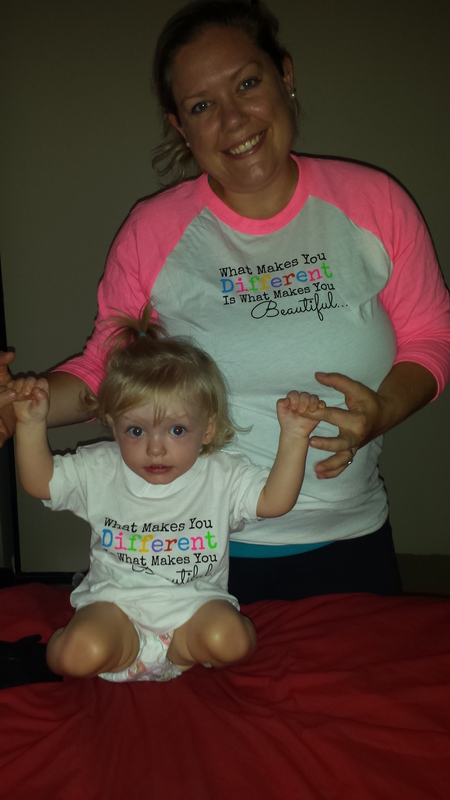 Day 162: Different is Beautiful! This morning Madison had a fantastic visit with Aunt Janine and Suzanne. On our way home we found out some very exciting news. Madison was selected out of over 250 applicants to be in the 2016 Different if Beautiful calendar by The Happy Soul Project! She will be doing her photo shoot in Toronto in the next few months and will be given a month in the calendar for her pictures and will have a bio at the back of the calendar. The Happy Soul Project is sending Madison her “What Makes you Different is what Makes you Beautiful” shirt in the mail as well as her Kick it Cape. Kick-It-Capes are for anyone facing something that requires extra courage to take on superhero qualities and face their own struggles. Madison will have on her Kick it Cape in the calendar. Happy Soul Project is all about inspiring others to look at life a wee bit differently, believing in all abilities and celebrating the beauty in the uniqueness of all people..this is what the different is beautiful calendar celebrates and we can’t wait to share it with you to continue spreading awareness about this important message. Once the calendar is published we will provide information on how to purchase one. I believe that all proceeds from the calendar this year go to supporting the production of more Kick it Capes for little ones fighting their own battles. Thanks Happy Soul Project!